i first came across this interesting preparation at 富记大排档tai wai in hong kong. it was an impressive presentation. 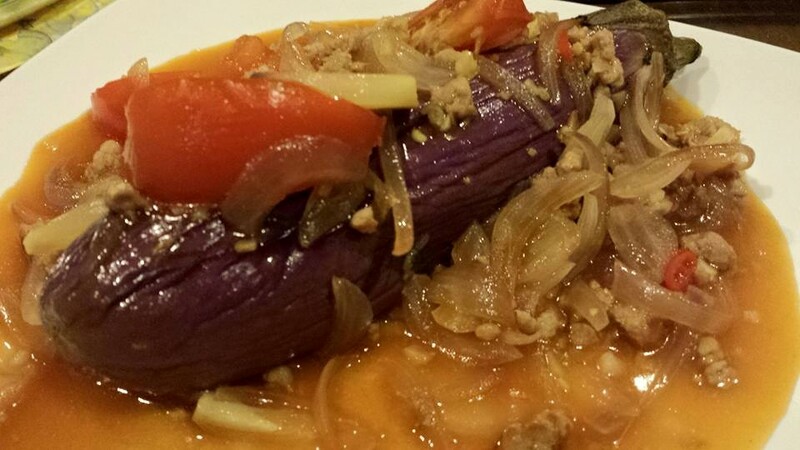 i washed & steamed the whole eggplant first, about 10mins. i used about 120g minced pork and cut 1 small red onion & 1/2 large tomato. when serving, i browned some garlic in 1tbsp oil, added onions & minced pork then tomato, mixed 1 tbsp oyster sauce, 1 tbsp tomato sauce, 1tsp fish sauce (to taste) & 1 tsp cornflour in 2/3 cup water. i added to the pan & reduced. 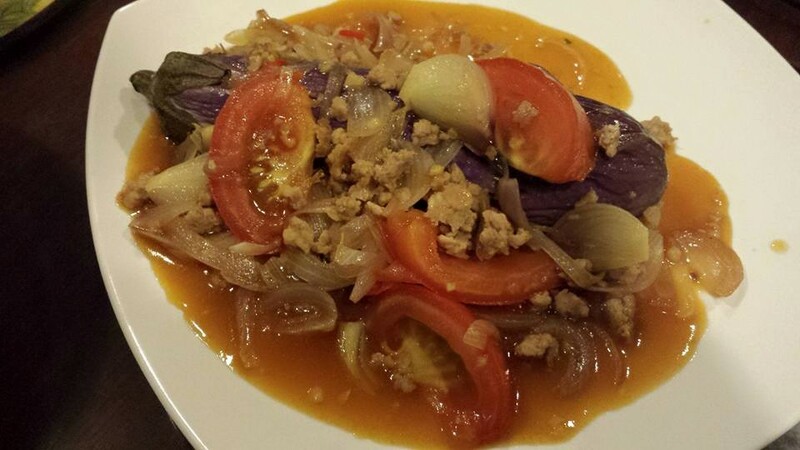 then i drenched them over the steamed whole egg plant. 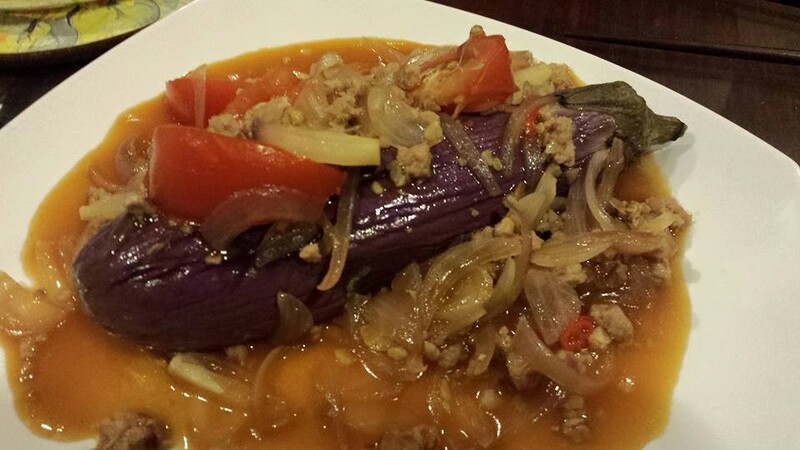 this really an excellent dish!^^ eggplant was firm not mushy yet sweet & tender when cut, & combined perfectly with the sauce. i basically had the inspiration & was recreating the dish from 富记大排档tai wai. 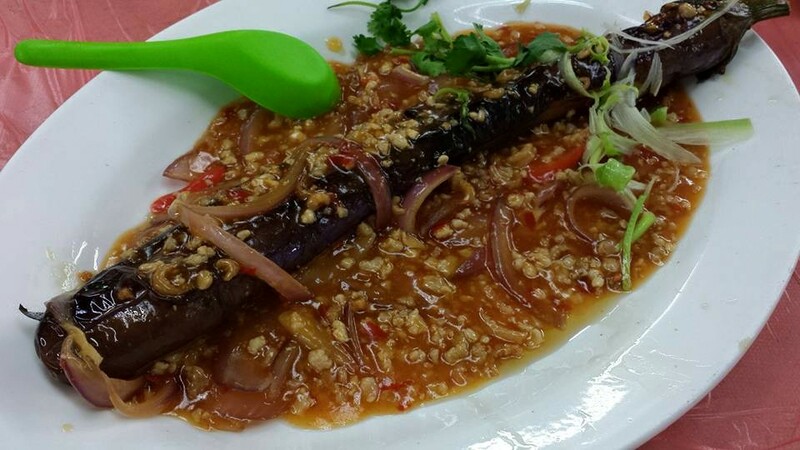 This entry was posted in Recipes and tagged daipaidong, Hong Kong, tai wai, whole eggplant with meat onion sauce, 富记大排档. Bookmark the permalink.